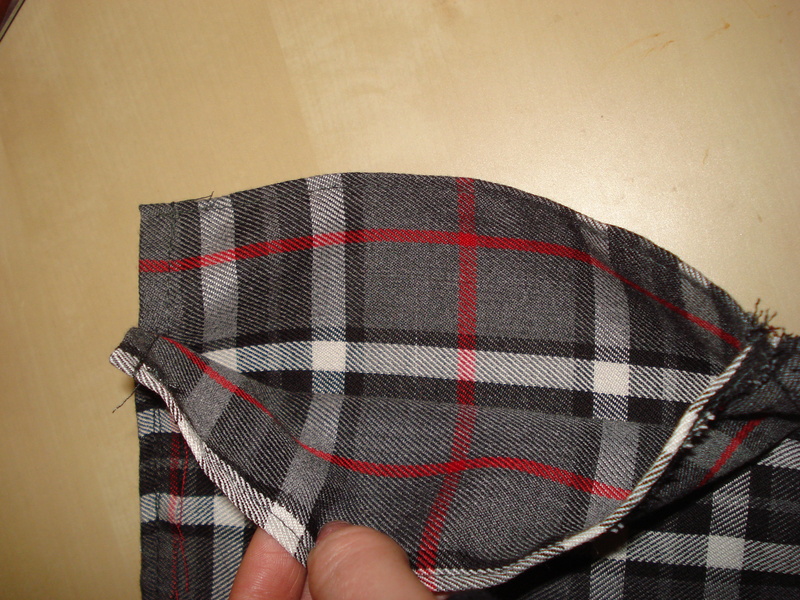 Place your fabric wrong side face up, and fold over a 1cm seam on one of the long sides and pin. 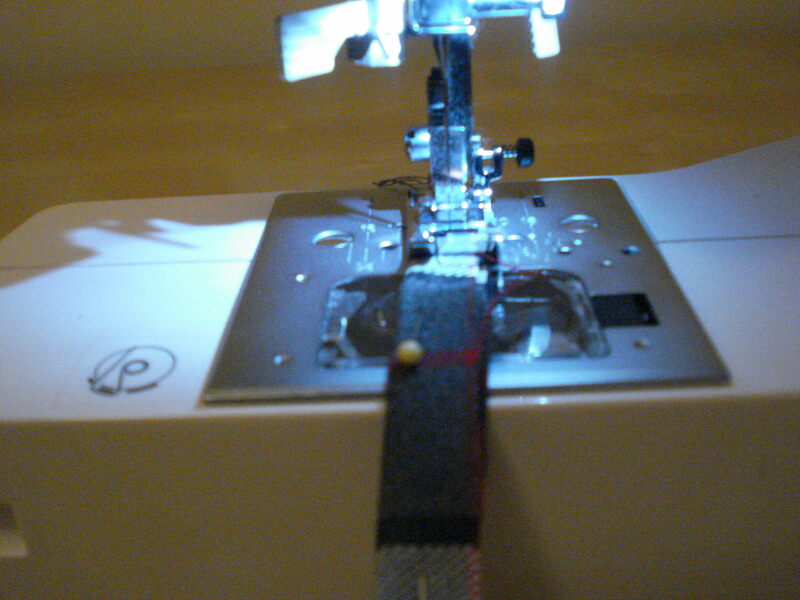 Sew using a straight stitch. 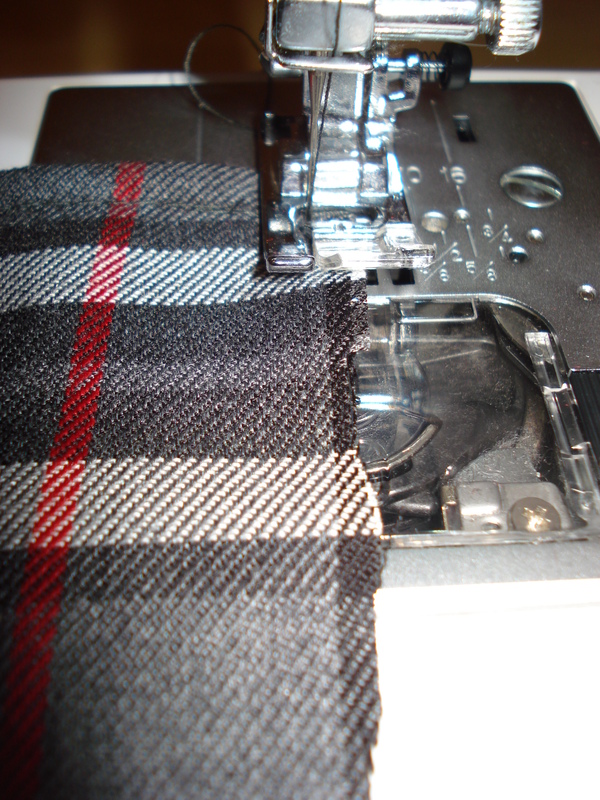 If the fabric you are using frays easily then finish the edges with a zig zag stitch. 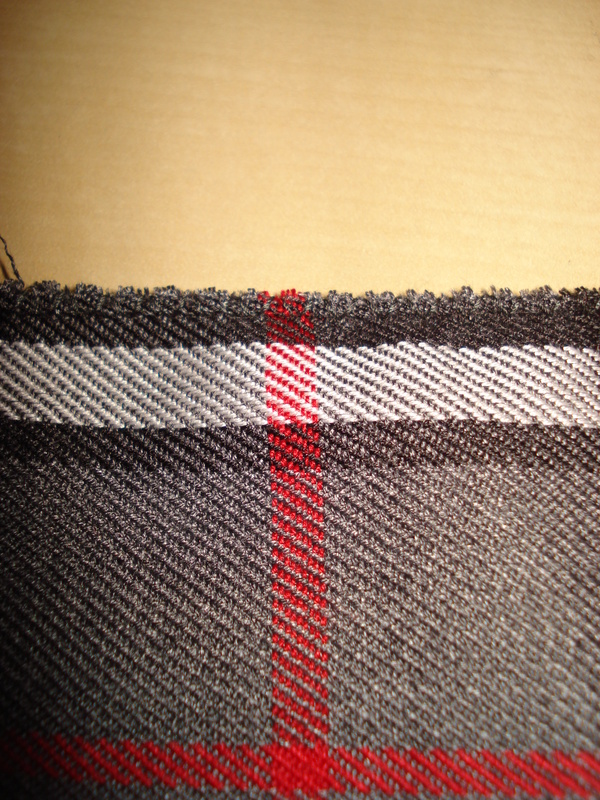 Place the fabric edge so that it stitches one stitch on the fabric and one off the fabric. 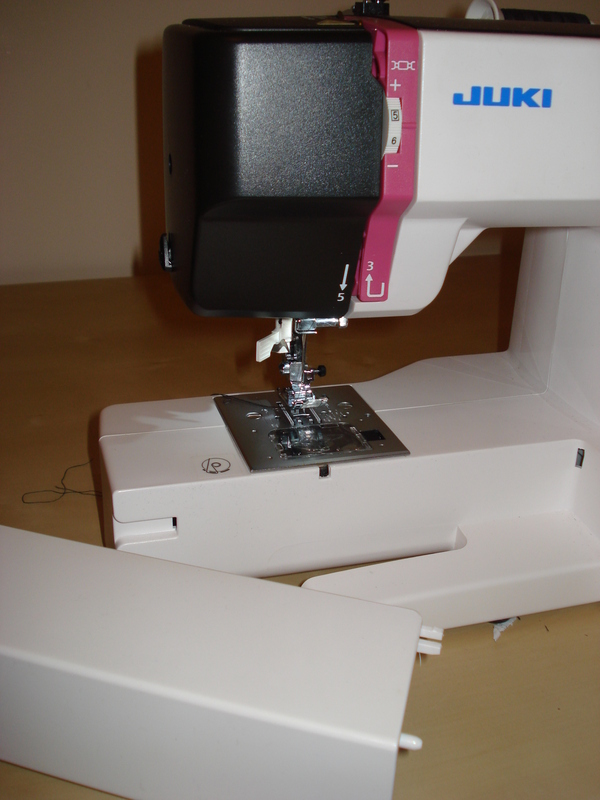 Press and snip any stray threads. 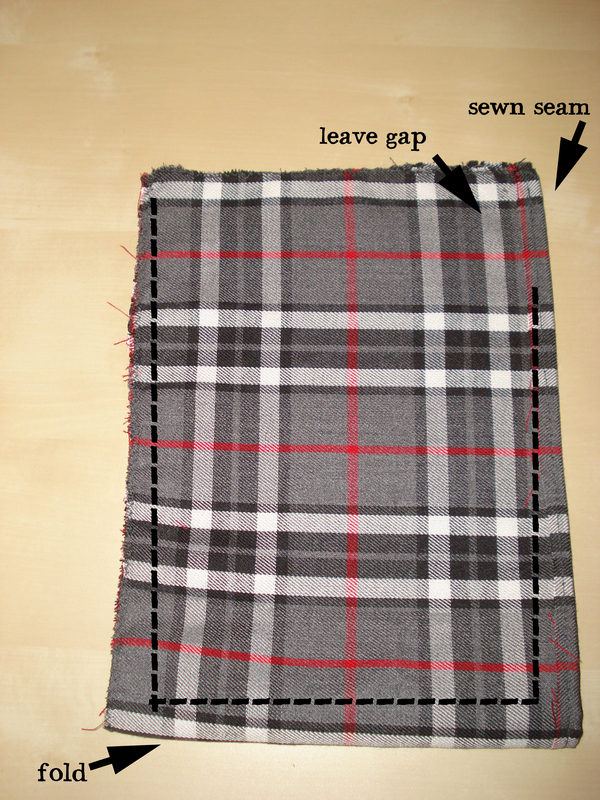 Fold fabric in half with right sides together. Pin and stitch as below. 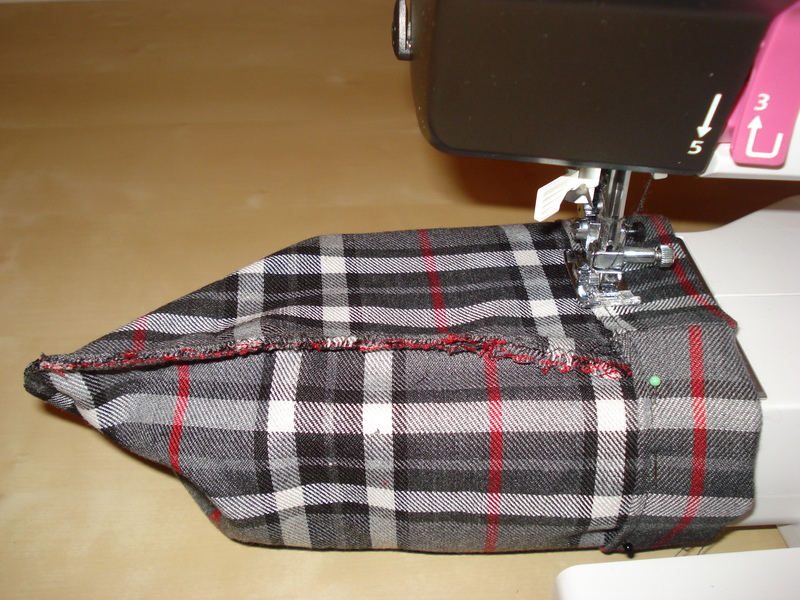 Once stitched press and clip the bottom 2 corners, be careful not to cut the stitches. 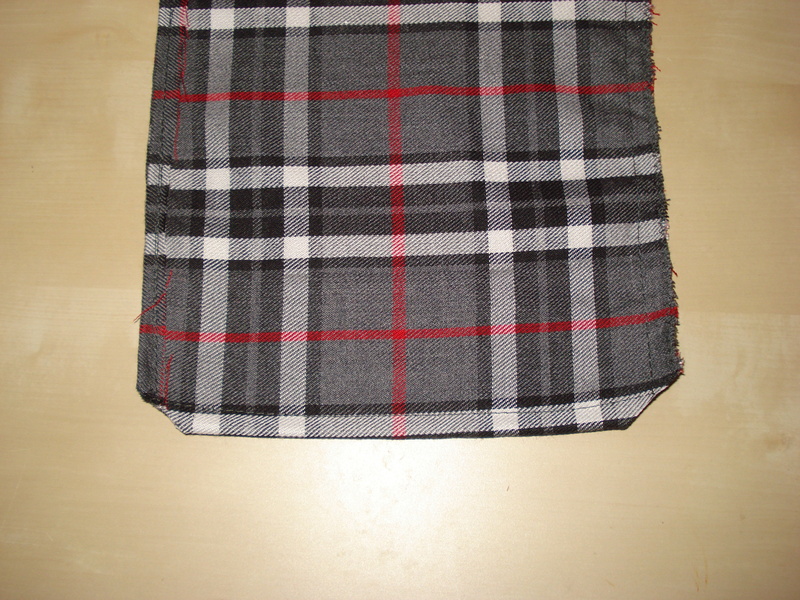 You now have your basic pouch… now to finish the top. 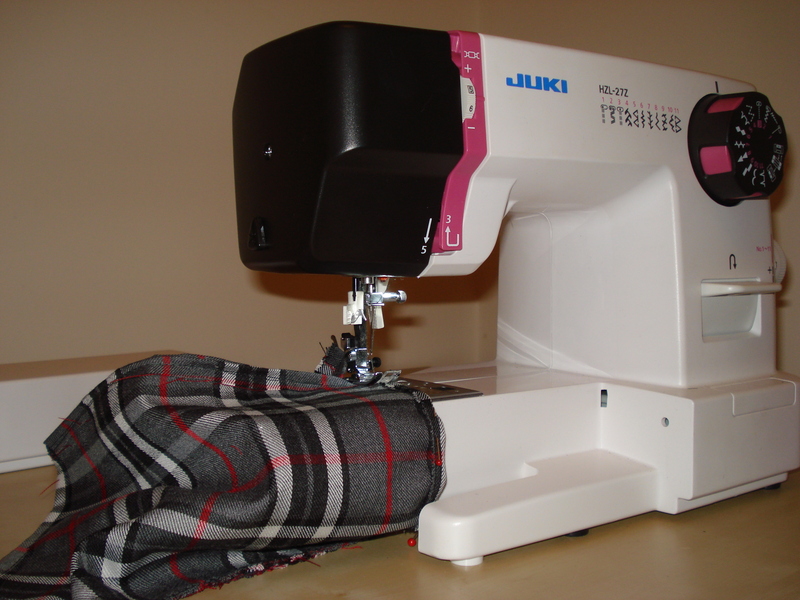 Fold over a small hem to finish the top of the pouch and sew all the way around… if your sewing machine has a removable section to make easier, now is the time to take it off! 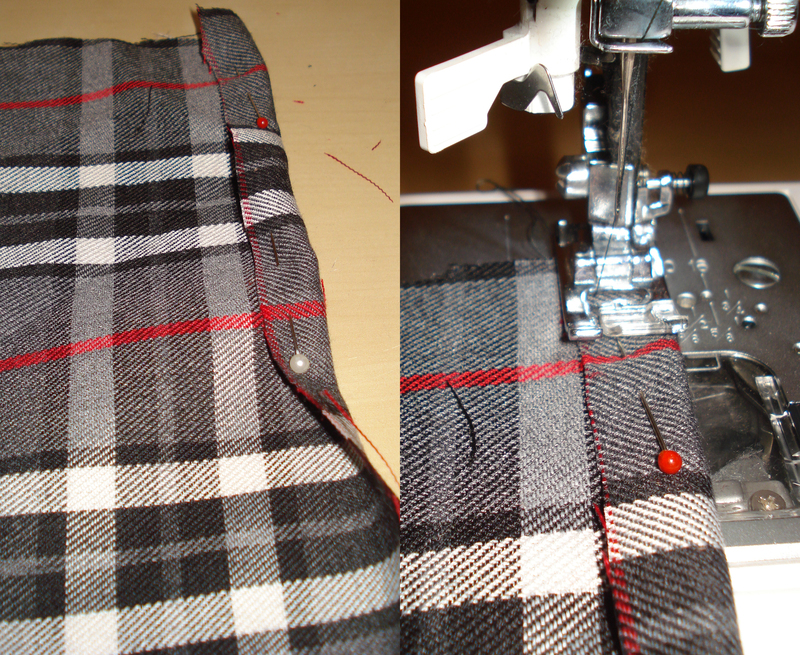 Then turn over a larger flap again to create the channel for the drawstring, pin and sew. 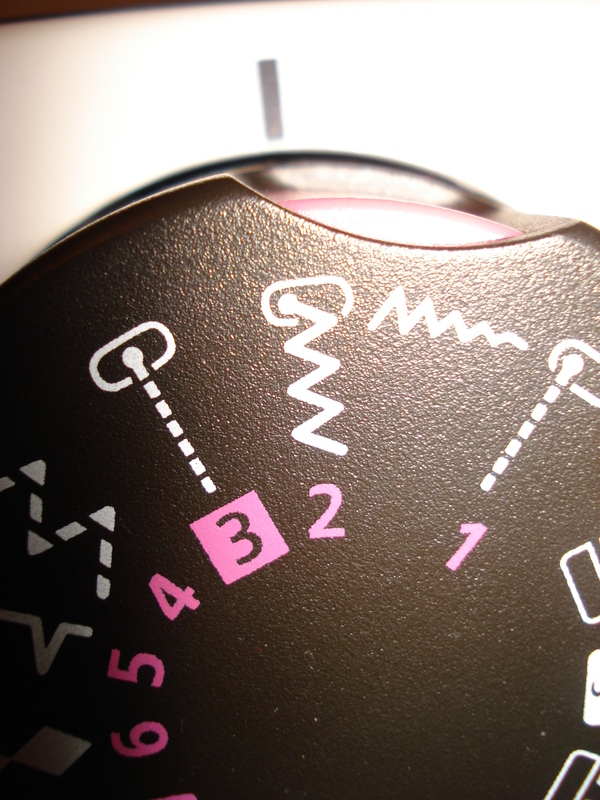 Then Press and clip and stray threads. Turn your pouch the right side out. To make the cord take your long piece of fabric and iron it in half lengthways, it makes it easier to pin and stitch… then pin and stitch it! 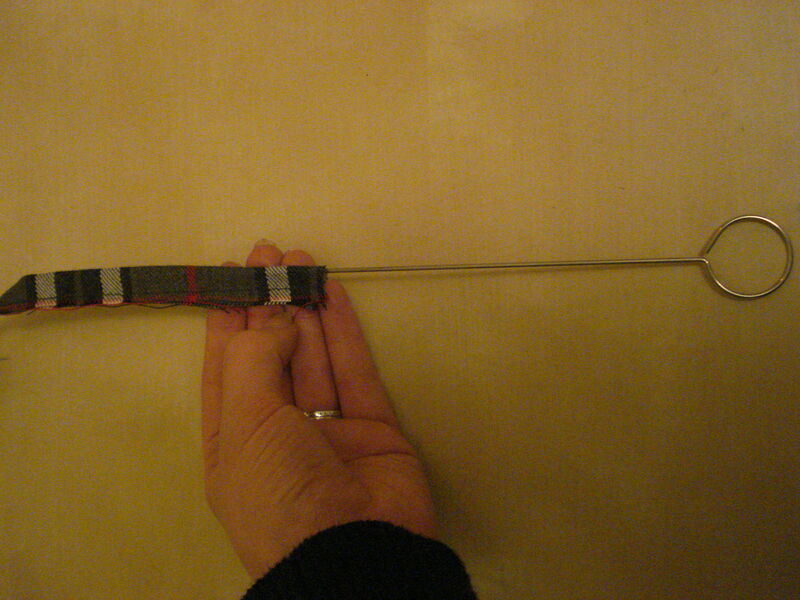 Now turn your cord inside out so that the stitching is on the inside. 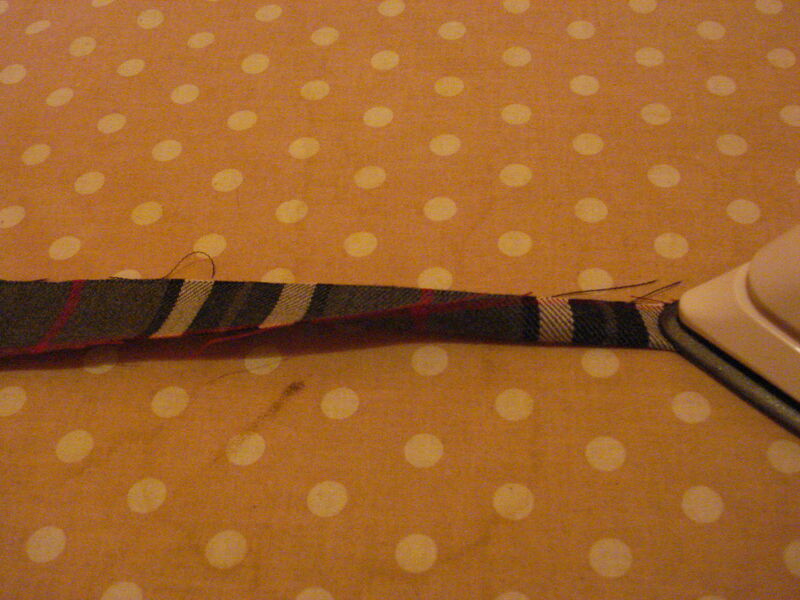 Its a lot easier to do this if you have a loop turner (available from haberdashery shops) if you don’t have one then you can use ribbon or cord. 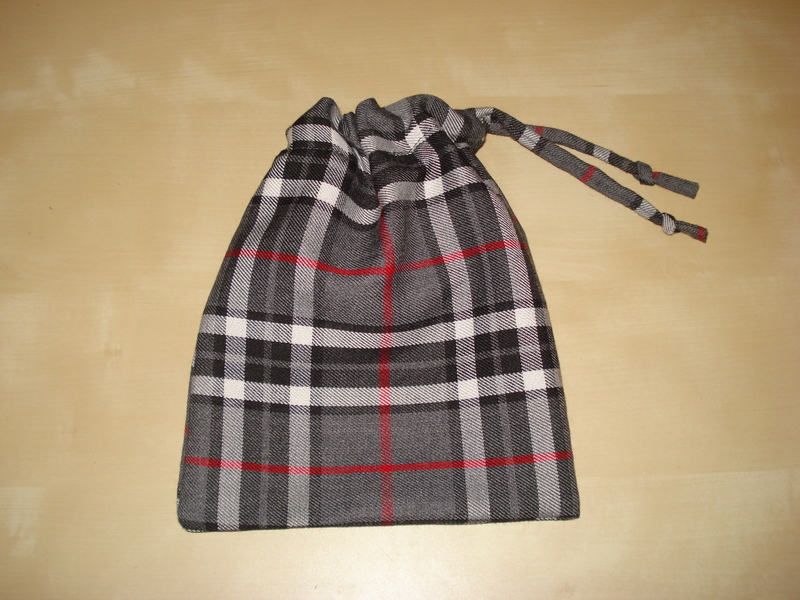 Then insert it into the channel you created, tie a not in each end… and you have made a drawstring bag!